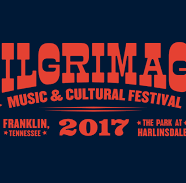 Experience why Rolling Stone called Pilgrimage “a festival to watch” and “one of the South’s premier festivals” by The Tennessean with a 2-Day Pilgrimage passes ($175) OR 2-Day INFINITI VIP Village passes ($725) available beginning today. The INFINITI VIP Village pass includes VIP parking, stage front viewing, open bars, culinary experience and are available while limited supplies last. On-site parking passes are available for $35. Want to bring the kids? No problem! Pilgrimage has something for everyone and children under 10 get in FREE when accompanied by an adult Pilgrimage Pass.